What It Is: The spandex and lycra FlipBelt fits comfortably around your waist while holding your gear in place, and it wicks away sweat whether you’re running, squatting, or performing box jumps. It features four separate openings and a built-in key holder. When you’ve put all your stuff inside, all you have to do is flip it over (hence the name) so the openings face your body. Why We Like It: We recently wore the belt on a run home from work. Because we only brought running shorts without pockets to the office that day, we needed something to take our keys, ID, metro card, and credit card — essentials that we wouldn’t want to lose in transit. Despite the lack of zipper, the gear stayed secure without slowing us down. At the gym, it performed just as well. In general, it’s great for workouts where you can leave your wallet at home and carry keys, a gym card, and even a phone. 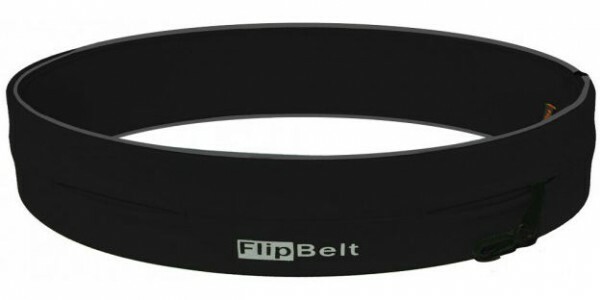 Nitpick: The FlipBelt sometimes gets in the way during certain core moves, depending on its position on our waist. But nothing a slight adjustment can’t fix. And when we have to reach for a card — anything with thinner and sharper edges than our iPhone 6 — removing them from the slits requires some maneuvering, since it so snuggly holds everything inside.